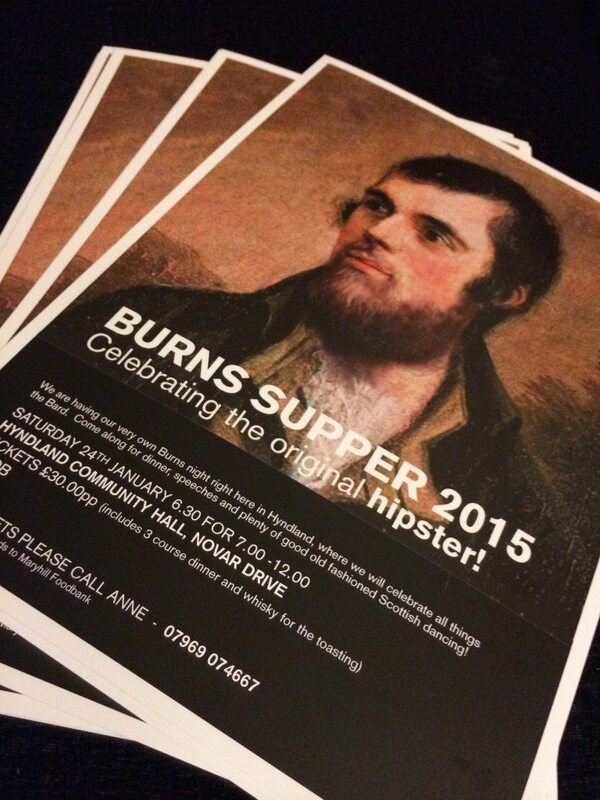 We designed and produced this poster for the Hyndland Burns Night. 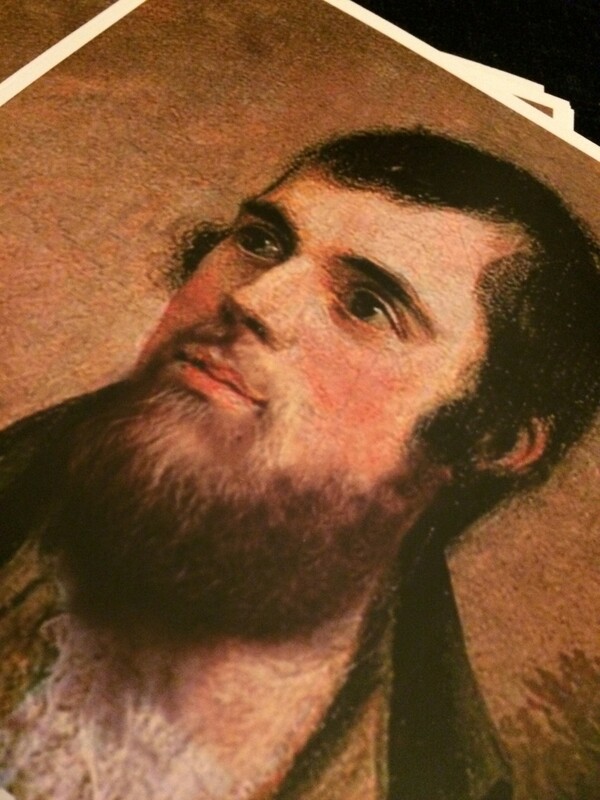 We did something radicle and ‘photoshopped’ Burns with a beard. The idea being that Burns transcends all styles, politics and fashion. 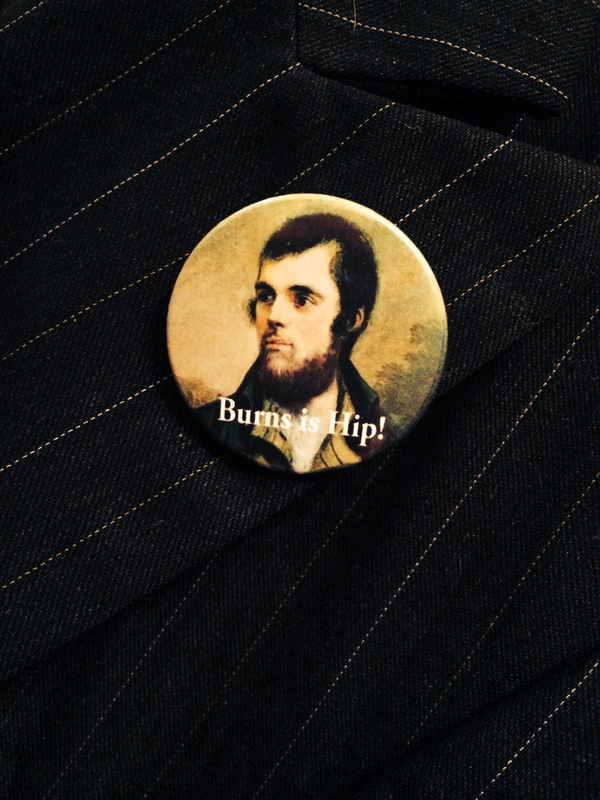 We even created little funky ‘hip’ badges to wear on the night! Indeed he may have been the ‘original hipster!